New York Giants quarterback Eli Manning and his wife Abby have welcomed their fourth child and first son – Charles “Charlie” Elisha Manning. The 38-year-old two-time Super Bowl champion-winning quarterback and his wife welcomed the baby boy on Super Bowl Sunday (February 3), Newsweek reports. Congrats! The couple is also parents to daughters Ava Frances, 7, Lucy Thomas, 5, and Caroline Olivia, 4. 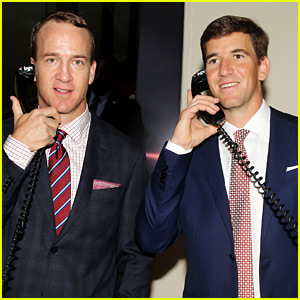 Eli‘s status as the starting quarterback of the New York Giants is still in question. The team could choose to keep him on the team or move on from him and draft a new QB in the NFL draft this coming April. Eli Manning & Odell Beckham Jr.'s 'Dirty Dancing' Super Bowl Commercial 2018 - Watch Now! 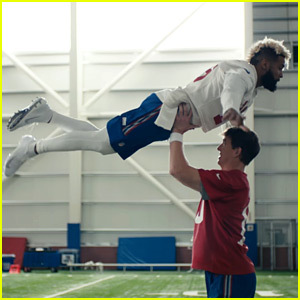 Eli Manning and Odell Beckham Jr. are bringing Dirty Dancing to the football field with a hilarious commercial for the NFL that aired during the 2018 Super Bowl! There were teasers all night that starred the two New York Giants stars and then the full ad aired near the end of the game. The guys do a full dance routine to the song “(I’ve Had) The Time of My Life” and they complete it with the famous lift that Patrick Swayze and Jennifer Grey. Lea Michele has nothing but mad love for Taylor Swift and her New England Patriots. The 30-year-old actress kicked off her 2017 Super Bowl festivities by watching Taylor perform live at the 2017 DIRECTV NOW Super Saturday Night Concert held at Club Nomadic on Saturday (February 4) in Houston, Texas. Also pictured inside: Maria Menounos, Eli Manning, Diplo, and Abby Wambach at the event. Olivia Culpo is getting ready to cheer on boyfriend Danny Amendola right before his big Super Bowl game! The 24-year-old former Miss Universe took to her Instagram to share a rare photo with Danny, a player for the New England Patriots. In the pic, the usually private couple can be seen cozying up together on a chair while going in for a kiss. “Houston today to see this 🌟🌟🌟 in my life. Can’t wait to cheer him on this weekend ❤ I love @dannyamendola,” she captioned the sweet image. Also pictured: Fellow football players, including Eli Manning and Danny‘s teammate Rob Gronkowski, stopping by SiriusXM at the Super Bowl’s Radio Row on Friday (February 3) in Houston, TX. 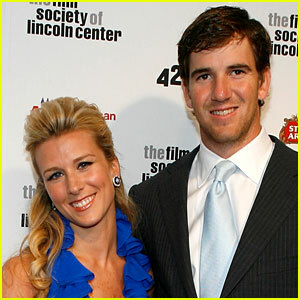 Who Is Eli Manning's Wife? Meet Abby McGrew! New York Giants quarterback Eli Manning is playing in a huge wildcard playoff game later today against the Green Bay Packers…so let’s take a minute to highlight his lovely wife Abby. Eli Manning, 36, and Abby McGrew, 33, met when they were students at the University of Mississippi back in 2002, when she was a freshman and Eli was a junior. The couple were profiled several years ago for a New Orleans newspaper. “In 2007, Eli knew he wanted Abby to be his wife. During a trip home to New Orleans for Mardi Gras, he designed an engagement ring at Adler’s. A few weeks later, they were slated to take a trip to see her family in Nashville. Abby thought he might propose to her then but Eli just couldn’t wait that long. On a simple Tuesday evening they were spending together, Eli turned toward Abby and got down on his knee. Abby was taken aback at first but breathlessly said ‘Yes!’ He presented her with a gorgeous Adler’s emerald-cut center stone ring, flanked by two emerald-cut diamonds on either side,” the piece read.